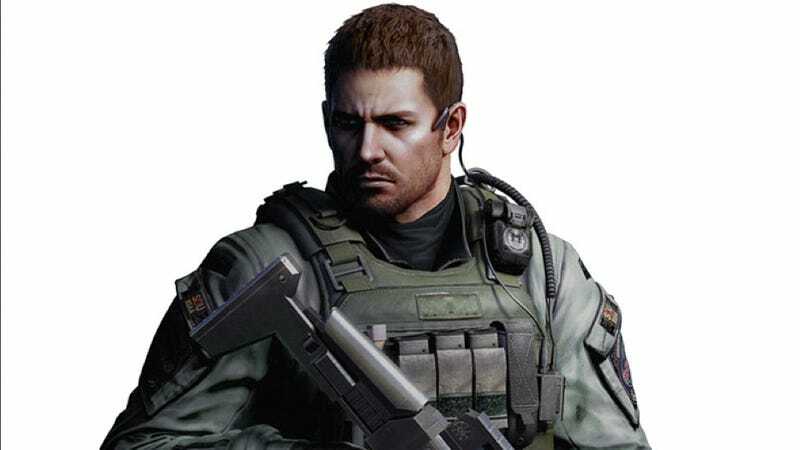 Chris Redfield isn't Japanese. If you go by his Wikia bio, the character is a white American. But what if he were Japanese? And more importantly, what if he looked like one of Japan's biggest memes? Japanese actor Shoei first made his name by appearing in super sentai (Power Rangers) show Seijuu Sentai Gingaman, which was localized into Power Rangers Lost Galaxy in the West. However, his internet fame didn't explode until 2011, after he appeared on the cover of TV Bros magazine, tears streaming down his face. After that, Shoei's crying or sad face was Photoshopped onto countless images, with the meme being "Shoei crying while doing something." That then morphed into Photoshops of Shoei's smiling face tacked on to images—seemingly only to set up the crying image as a punch line. One Japanese Twitter user brought the Shoei meme to Resident Evil, turning Chris Redfield into a happy Shoei, and then...a very sad Shoei. In some ways, this is Japan's equivalent of the sad Keanu meme.